Linda Popky Named Program Advisor for Integrated Marketing Program at San Francisco State – Leverage2Market® Associates president tapped to support College of Extended Learning program: Leverage2Market Associates, Inc. today announced that its president, Linda Popky, has been named the program advisor for the Integrated Marketing Program at San Francisco State University’s College of Extended Learning. Women in Consulting Marks 10-Year Anniversary – October Event to Celebrate 10 Years of “Passion, Purpose, and Perseverance.” “We’re extremely proud of how far WIC has come over the past decade in terms of helping members succeed in their individual businesses and consulting practices, as well as building a strong and diverse network of committed professionals,” said WIC President Linda Popky. Business Briefs: Women to Hear Marketing Talk – Linda Popky speaks on branding strategies. What Are the Benefits of Social Media in the Workplace? – “Social media, when used wisely and judiciously, can be quite helpful in the corporate workplace,” said Linda Popky, President of Leverage2Market Associates, Inc.
Popky Named WIC President – Linda J. Popky has been named president of Women in Consulting (WIC), a bay area organization of over 500 members and affiliates who are seasoned professional consultants in more than 30 specialties. Founder and president of Leverage2Market Associates, Inc., a strategic marketing firm, Linda is the author of Marketing Your Career: Positioning, Packaging and Promoting Yourself for Success. Women in Consulting Names 2008 Board of Directors – Innovative Bay Area-based organization marks 10th year of success supporting and growing a diverse community of top-notch consulting talent – Linda Popky steps up as president after serving as WIC’s director of partnerships. 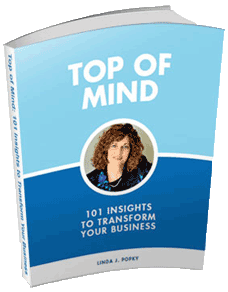 Linda Popky’s book, Marketing Your Career is featured as Dan Janal’s “Cool Book of the Day”. 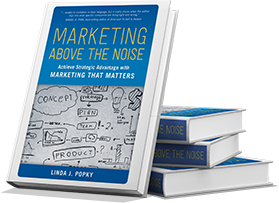 New Book Helps Professionals Effectively Market Themselves – Marketing Your Career Handbook shows professionals and business people how to use marketing methods to take their careers to the next level.